Attractive replica Massey Ferguson Tractor trinket box with hidden gift. The top of the engine can be removed to reveal an additional gift of a tractor keyring. One of our Collectable Gifts range. Blue tractors on green necktie. 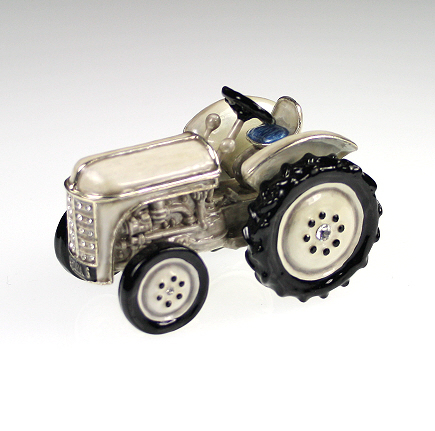 A pair of grey and black vintage Massey Ferguson cufflinks for farmers, collectors and admirers of this famous vehicle.